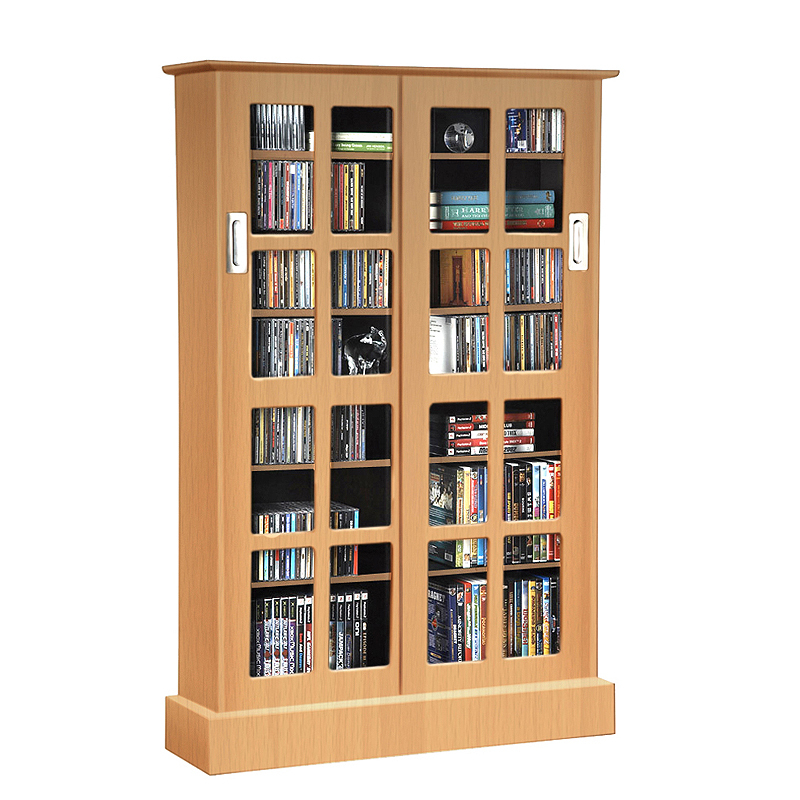 More on the Atlantic Windowpane Sliding Glass Media Cabinet for 216 Blu-rays or 576 CDs (Maple) 94835722 below. 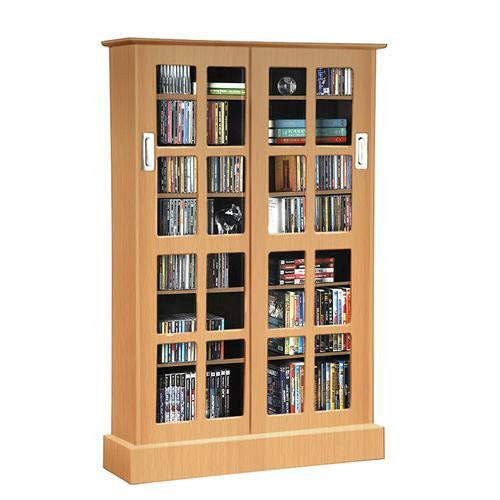 This traditional maple finish media storage cabinet will fit most decors. Cut tempered glass pane styled doors slide from either side, making movie or music access easy. Shelf heights adjust to optimize capacity. This media cabinet features a wall anchor kit. Extended base for added stability. Capacity: 216 Blu-rays, 192 DVDs or 576 CDs.